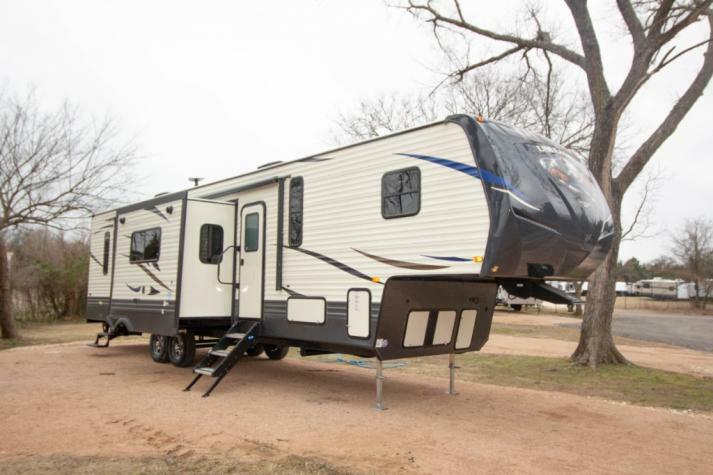 If you love the great outdoors and want to enjoy it even more with your favorite off-road toys, then check out this Palomino Puma Unleashed 381FTB fifth wheel! 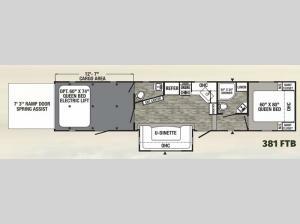 It features plenty of space in the 12' 7" separate garage, where you can add the optional queen bed electric lift to provide more space to add extra members on your adventure. You won't have to worry about any "potty dances" either thanks to the bath and a half in this unit. Between the overhead cabinets and kitchen pantry, you can bring along all of your favorite camping goodies and enjoy a late night snack as you watch your favorite movie on the 40" LED TV at the entertainment center! 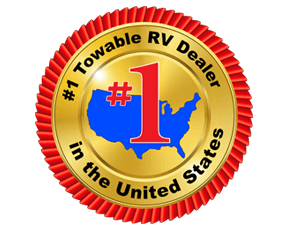 If you are looking to feel at home wherever you roam, then one of these Palomino toy hauler fifth wheels are exactly what you need. 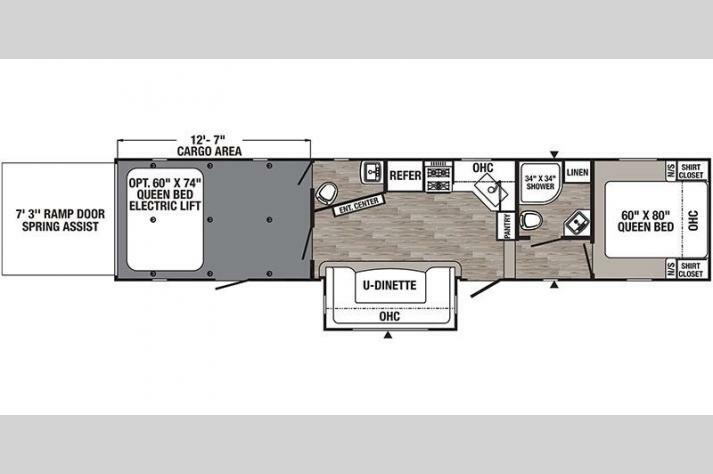 Because of their ability to store both large cargo items, as well as you and your luggage, this fifth wheel gives you the best of both worlds with a separate garage and living spaces. While you are relaxing for the evening, the 40" LED TV will entertain you, and the various safety features, like the carbon monoxide, LP, and smoke detectors, will give you peace of mind. If you prefer to spend your evenings lounging outdoors, the best place to do so will be underneath the electric awning with LED lights.